2 editions of Qānūn-i ibn-i Sīnā aur us ke shārḥīn va mutarajimīn found in the catalog. Add another edition? Are you sure you want to remove Qānūn-i ibn-i Sīnā aur us ke shārḥīn va mutarajimīn from your list? Published 1986 by Pablīkeshan Dīvīzan, Muslim Yūnīvarsiṭī in ʻAlīgaṛh . Al-Qanun Fit Tib (The Canon of medicine) is one of the most famous and widely read books of the medical history. It was originally written in Arabic language, the book was later translated into a number of languages including Persian, English, Latin, German, Chinese, Uzbek, Turkish, Punjabi and Hebrew etc. A number of commentaries have also been written on the entire book or its parts in different languages showing its importance, worldwide acceptability and its immense relevance to the medical science. It was completed in 1025 AD and remained a medical authority up to early 19th century. Because of the systemic and organized composition and very clear presentation of almost all the important topics related to health care and medical education and training, it was found instrumental in setting the standards for medical education and its practices in Europe and Islamic world. It is also thought to be the basis of Unani medicine practiced currently in Indian subcontinent and other parts of the world with different other names. Hakim Syed Zillur Rahman focused his attentions towards compiling a book comprising of the introduction and evaluation of writings and works carried out on Al- Qanun in any language and searched tirelessly for the translations, commentaries, foot notes, summaries, indices and other works carried out on any aspect of Al- Qanun in any language published or otherwise in the form of manuscripts or its translations. He has introduced 219 writings on Al-Qanun by different authors in different languages and has given a decent account of the authors and their work. It includes 151 treatises in Arabic, 22 in Persian, 20 in Urdu, 7 in German, 6 in Latin, 5 in Turkish, 2 each in English, Hebrew (Ibrani) and French and one in Uzbek language, in this book entitled as Qanun Ibn Sina ke Sharehin wa Motarjmin (henceforth QISM). Needless to say that this mammoth work obligated Hakim Syed Zillur Rahman to run from pillar to post in search of the works related to Al-Qanun. He had been roaming for about 10 years looking for the relevant materials, and even the possibility of an iota of information at a distant place kept him perturbed until he procured it or satisfied himself with personal visit and necessary inquiry. He visited a number of institutions and libraries in India and abroad and collected the information about the authors and their works on Al-Qanun. He managed to get the copies of manuscripts and rare books on the topic and critically evaluated them so as to authenticate the extant works before including them into his book. In India, Ibn Sina has been appreciated as the most prolific, versatile and influential foreign writer, thinker, philosopher and medical man of exception. His writings especially Al-Qanun has got a special place in the teaching, training and research on medical sciences. The scholars having command over Al-Qanun and involve in its teaching were treated as venerated genius. It is obvious therefore that they compiled their understanding, illustrations and commentaries etc on Al- Qanun more enthusiastically as it was considered to be the token of scholarship and sublimity. Consequently the quantum of work in the form of translations, summaries and commentaries etc in Urdu, Persian and Arabic languages prepared by Indian scholars amounts to about one third of the total work undertaken worldwide on Al-Qanun. QISM was translated in to Persian language under the aegis of renowned scholar Dr. Mahdi Mohaqqiq and published from Tehran in 2004. 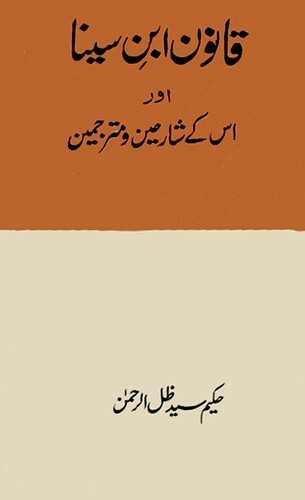 It has also been translated into English by none other than the great scholar and researcher Zakaria Virk, a Pakistani national who is settled in Canada. 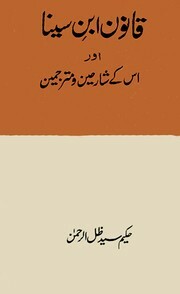 However, since Hakim Syed Zillur Rahman who is still working on this book and wish to add some new information and few more chapters he penned after the publication of this book from Publication Division, AMU, Aligarh in 1987, the English translation of its updated version therefore will be published soon after Prof. Hakim Syed Zillur Rahman goes through its final proof. Ibn Sina is a darling writer and a role model for Prof. Rahman and he finds solace in being associated with him through exploring his personality and writings and also by assimilating his thoughts to form a new body of knowledge or formulate a hypothesis from the insights he gets in his writings, for future work. This and other works of Prof Hakim Syed Zillur Rahman on Ibn Sina and his books have rarified his personality and his name is inching towards immortality that his beloved Ibn Sina has already achieved. On Avicenna's Canon of Arabic medicine and its translators and commentators. Includes bibliographical references (p. 274-278).